If you’re planning the installation for a low-ceilinged room, insist on a flush-mount model (also called a “ceiling hugger”) to ensure adequate head clearance. For average-height ceilings, using the manufacturer-supplied hanging rod should do the trick. For higher ceilings, an extension rod will lower the fan to optimal position within the room, about eight or nine feet off the floor. Available in lengths from 12 to 72 inches, extension rods are for sale online and at home centers. To make sure its finish matches that of the fan, source the rod from the same company you buy the fan from. 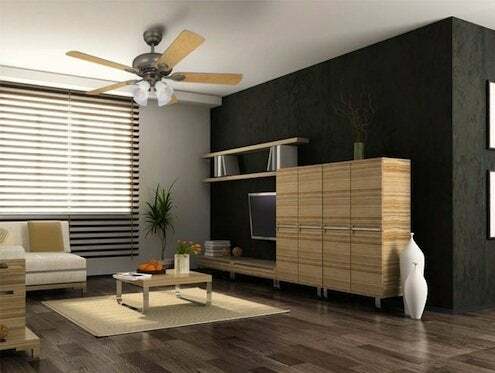 For very large rooms with high ceilings, fans with 60- to 80-inch blade spans are available. Large-sized fans are as much about scale as function in meeting the requirements of a large space. 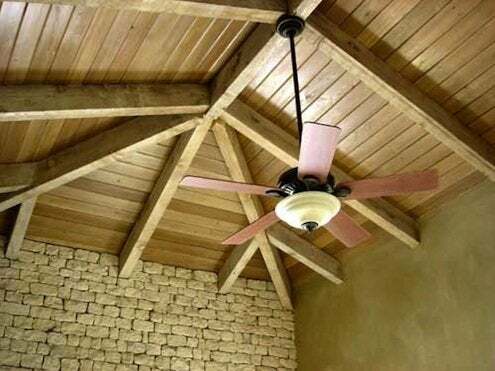 Ceiling fans don’t actually lower room temperatures; they cool by creating a breeze. Install them in places where you spend the most time. Good spots are over the bed or above family-room or kitchen seating. Do you want to control the fan from a wall switch, a remote, or a good old-fashioned pull chain? You may not have a choice. Mode of operation depends on the fan that you choose. 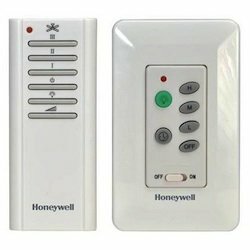 Tastes vary, but there is certainly something to be said for the convenience of a remote that enables you to change fan speed (or ceiling-fan light fixture settings) effortlessly. Note: It’s a good idea to keep the ceiling fan on a separate circuit from lighting. If both are on the same circuit, you won’t be able to run your fan when the lights are off (especially important in the bedroom). The universe of ceiling fans is amazingly big! Don’t settle for the limited selection to be found in brick-and-mortar stores, especially if you need a fan with small blades or a model suited for cathedral or vaulted ceilings. My favorite Web site for ceiling fans is Hansen Wholesale. Think of it as a sort of Consumer Reports. For each product it sells, Hansen offers information on motor quality, CFM (air movement measured in cubic feet per minute) output, energy efficiency and other pertinent data. The ratings graphs show the average rating in each category, so you know immediately how the fan you’re considering stacks up. Hansen also includes an excellent ceiling-fan size calculator.